When you think of your annual campaigns and events, you probably use “one-to-many” tactics in your transactional relationships (direct mail campaigns, email blasts, etc.). But for some donors, as their relationships transform into higher and higher commitment levels, you begin to communicate with them in a one-on-one manner. Ultimately, that may be through a gift officer, a board member, or a senior executive personally interacting with a transformative donor. These kinds of relationships last a lifetime. They are also responsible for funding initiatives that enable today’s life-changing programs and facilities, and endowing the future of your mission. Board members who act as active participants in all aspects of philanthropy. A clearly articulated vision that excites donors. Donor intent that is matched to that vision. It is important to invest in a strategy for potentially transformative donors that allows more attention than the one-to-many tactics annual donors receive — but not as much to justify the cost of one-on-one attention. This is where Mid-Level programs fill a gap. Your Mid-Level donors are much higher up than the donors at the base — but not near the top yet. A sound Mid-Level program will accelerate your donors up the pipeline — from the annual donor universe to, hopefully, a major-gift portfolio. One important way to approach the Mid-Level “one-to-some” is by simply listening to them. In addition to direct mail and email, a carefully executed use of telephone is a powerful channel for Mid-Level donors. Survey these donors to learn more about their philanthropic intent. Then, as you learn more, create opportunities (volunteer, giving, and face-to-face) to engage around their interests. 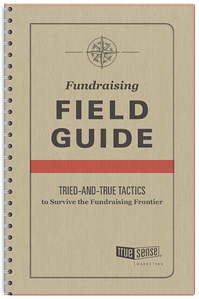 The first step in cultivating transformational donors is locating them within your pool of annual givers. Prospect research is an essential part of the identification process for potential major donors. Prospect research looks at things like home value(s), net worth, income, plane/boat ownership, insider stock holdings, family foundations, and most importantly, gifts to other charities. The typical assumption is that an individual is capable of giving away 2 percent of their net worth. However, presence of wealth is no guarantee that a prospect will make a major gift to your organization. Giving is personal for every donor, and it is dependent on your ability to develop a relationship and articulate your vision. All that said, the most important element to learn here is whether the individual is philanthropic. Once identified, make an effort to understand their capabilities, then learn more about their wants and desires. A trend that has exploded over the last five years is the shift to the use of donor advised funds (DAFs). The Fidelity Charitable family of DAFs recently became the largest charity in the nation by assets. DAFs are basically bank accounts into which donors make gifts. They allow the donor the ability to immediately take advantage of tax benefits while connecting them to hundreds of charities to which they can contribute. In addition, the tax reform bill that took effect in 2018 impacted the tax benefits of charitable giving. This has caused a lot more interest in donor-advised funds for those looking for ways to continue receiving tax-wise benefits associated with large charitable gifts. Make it easy for donors to give to you from their DAF. This can be done by creating widgets on your giving pages that will allow them to connect easily to their DAF. When you receive gifts from a DAF, have a policy to make sure you are crediting the donor and recognizing the fact that they have this vehicle. Success or failure of a major or planned gift program is most influenced by the staff you have managing these relationships. It is critical to have passionate, motivated, and assertive gift officers. Set aggressive goals, and measure everything. While every gift officer has their own style, it is important that everyone follows the same process. Create a framework based on best practices, and hold staff accountable to following the steps. Focus on retention. Too many times, we see top annual donors get moved to portfolios, only to languish without any meaningful contact. Just because a donor is a gift prospect shouldn’t exclude them from annual giving and continued communications. Constantly evaluate your portfolios, and make sure your donors are getting the appropriate attention they deserve. Remember: Major and Planned Giving donors not only fulfill your mission, they transform lives — including their own.